**Sorry for not posting on a Friday!! Sigh, it's that time again. The end of a week, and the time to do a Follow Friday and Book Blogger Hop. Why does time go by so fast?! Follow Friday is a weekly meme created by Parajunkee. 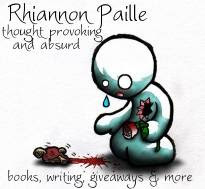 This week's feature is Rhiannon Paille. Be sure to follow her! Q. Genre wars! What's your favorite genre and which book in that genre made it your favorite? A. I have been really loving the genre of myth and paranormal. Definitely the Percy Jackson series which drew me into the whole genre of myth. What drew me in for the genre of paranormal was definitely Hex Hall! It was a wonderful book!! Read my review here. Book Blogger Hop is created and hosted by Crazy For Books. Q. How many books are currently in your To-Be-Read (TBR) Pile? 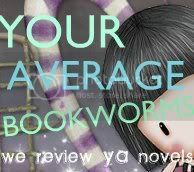 Hey I visited your blog from the crazy-for-books blog hop! Teen Fiction Centre is a brand new blog, that offers news, reviews and author interviews, all about the latest Teen / YA fiction. If you could write a guest post or review, or help support our new blog in any way, please email teenfictioncentre@live.co.uk or visit Teen Fiction Centre !